Seen in Egypt's North Coast: The new Alamein presidential palace being constructed at the new city by the Egyptian government through private construction companies. Overlooking the Mediterranean sea, the new city is being proposed as the new summer capital of Egypt replacing Alexandria which played that role whether officially before 1952 or unofficially afterward. 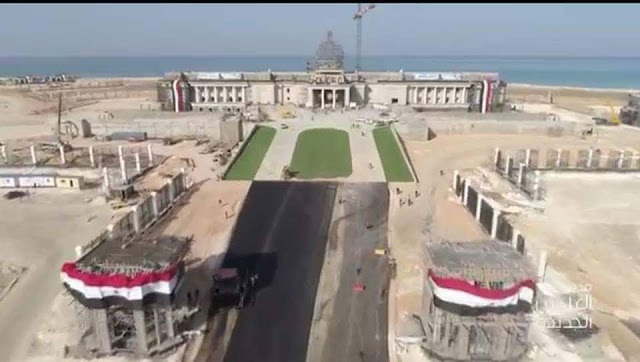 Construction started in New Alamein in 2017 but officially pre-inaugurated "if that description is right" in May 2018 by President Abdel Fattah El-Sisi. According to the official statements, the 48-Thousand-Feddans city will cost LE 2 billion and it is planned to host more than 3-million people in its early stages. There will be hotels and resorts as well as universities and schools in addition to official and governmental buildings. The city is right after Marina gate No.7. I took that photo on July 13, 2018, on my way back to Cairo after a short vacation in Sidi Abdel Rahman. New Alamain Facebook page. It is an old image I believe because I had seen the palace's dome covered. 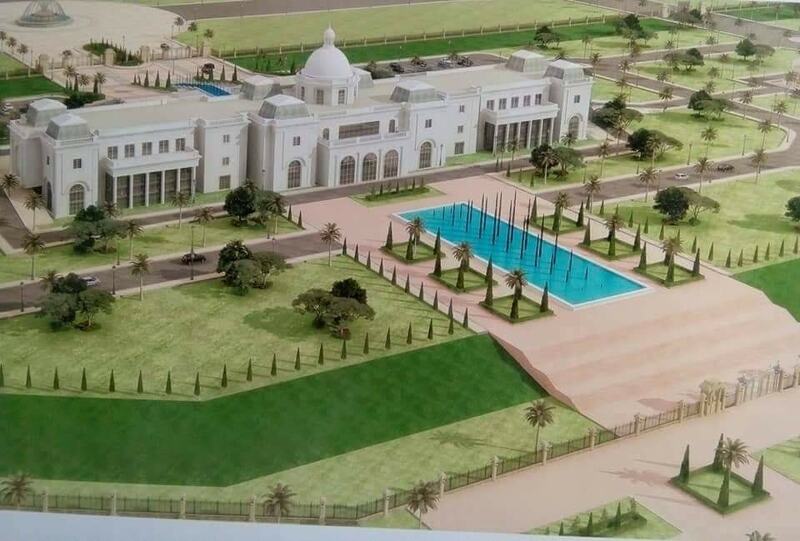 The new presidential palace built in New Alamein City is considered the second presidential palace to be built during President El-Sisi's era. The first is being built at the New Administrative Capital at the outskirt of the New Cairo. In 2011 following the ouster of Mubarak in February of the same year, the Press spoke about how there are 30 Presidential palaces and rest houses in the country. Alexandria, Marsa Matrouh as well the North Coast between them got at least 2 rest houses I know of. 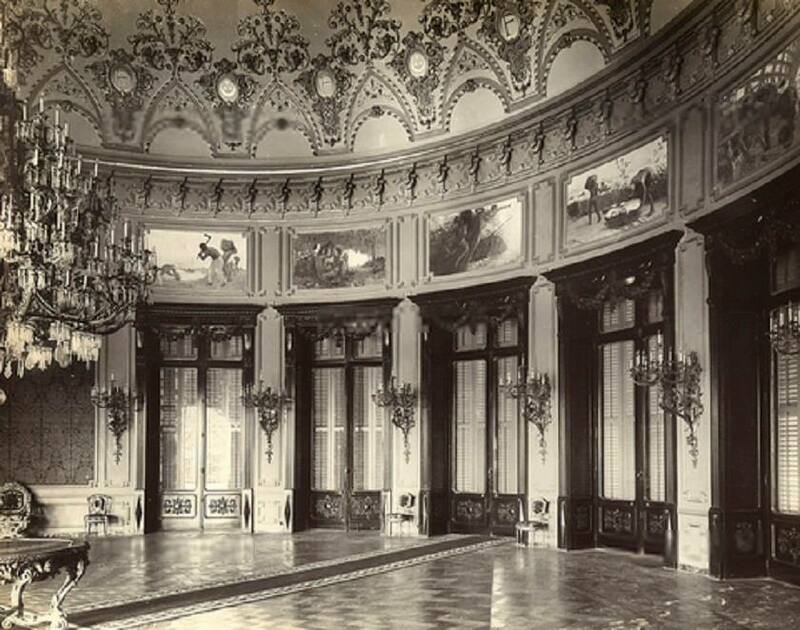 I know that there was a presidential rest house or villa built for Mubarak in Borg Al-Arab area and there is also the Presidential rest house at the magnificent Ras Hikama which was originally built for King Farouk. In Alexandria, there is the 17,000 square meter palace of Ras Al-Tin which was originally built in the 19th century for Mohamed Ali Pasha him and was renovated several times since then. There is also the Presidential rest house in Al-Mamora, which was President Nasser and President Sadat's favorite in summer. According to news reports, it is also El-Sisi's favorite place in Alex. Needless to say, the news of building another Presidential palace in the country drew expected criticism especially Egyptian people are facing difficult times economically and austerity measures should be adopted by the government and administrative authority before the public. Actually, there were two rests in Maamoura, Alexandria. One belonging to Nasser and the other to Sadat. They were built next to each other. 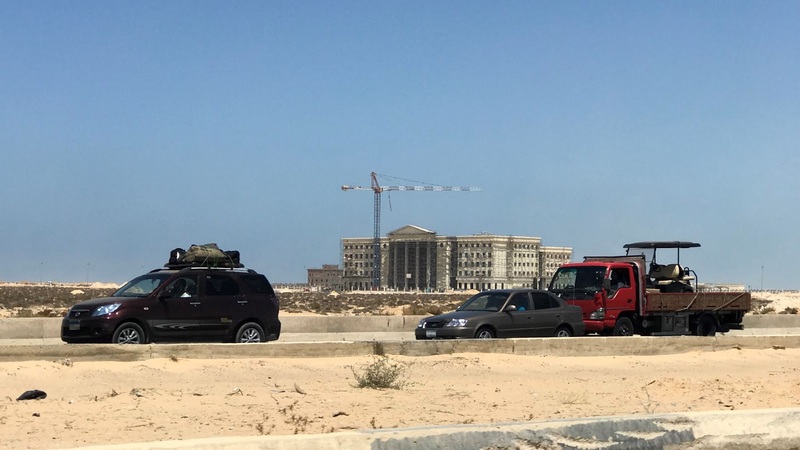 However, a few years ago when Sisi took power, one of the villas at the beach got demolished and a new one got built, which took the size of a small palace. I know that he loves Maamoura but I thought that he would be staying at one of the army's hotels there.